Gorilla trekking is one of the most popular tourist activities in Africa. The enchanting beauty of these gentle giants is simply irresistible. Mountain gorillas are not only intriguing to watch, but also have an admirable intellect. Better yet, the journey to these primates is as interesting as it is engaging. Usually, the expedition starts on the flat ground. As you progress, the ragged countryside becomes more breath-taking by the moment. The ascent becomes steeper also, so you can expect to get sweaty and muddy along the way. Nevertheless, you can rest assured that your experience will be one of a lifetime. Mountain gorillas are incredibly stunning. Unfortunately, also, they are an endangered species as well. It is estimated that only 900 of these gigantic primates roam the world today. Majority of these gorillas can be found in only two destinations in the world: Uganda and Rwanda. In Uganda, it is the Bwindi Impenetrable National Park that boasts of being home to nearly half of the world’s population of Mountain Gorillas. In Rwanda, the Virunga National Park contains most of the country’s gorillas. There are also some of these rare gorillas in various parks in the Democratic Republic of Congo. Usually, the gorillas are found in the higher altitudes, hence the name mountain gorilla. Making your way to the high altitudes can be something of a challenge, especially since there is thick and dense growth along the way. It is quite common for local guides to pave the way through the thick undergrowth using machetes. If you visit during the wet months, then choose your footgear wisely since skidding and slipping are quite common. Additionally, you can only go gorilla trekking if you have obtained a trekking permit. These can be quite expensive, and go for anything between $600 and $1500. But you can rest assured that this unforgettable experience is well worth the money. You can also only undertake the journey in the company of a trained guide. Usually, visitors are allowed only one hour with the gorillas. Why is this the case, you ask? The time limit is meant to minimize human exposure to the gorillas. This is because the gorillas are extremely susceptible to human diseases. Given that the species is already endangered, authorities must take all precautions to keep the animals healthy. Generally, both Rwanda and Uganda have different benefits to offer tourists. Rwanda has better infrastructure, is cleaner and the parks are generally more accessible. Uganda, on the other hand, offers cheaper trek permits, is an English- speaking country and has a lot of other attractions to offer the tourist. So, where should you go gorilla trekking? 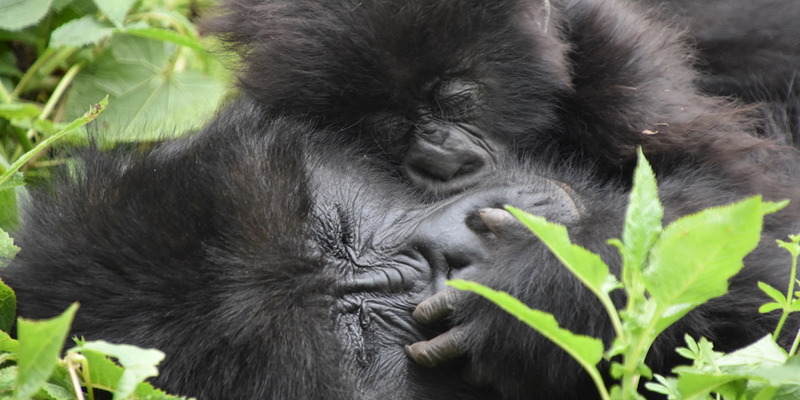 Here is a breakdown of the pros and cons of gorilla trekking in both Rwanda and Uganda. Gorilla trekking in Rwanda is bound to be an extraordinary experience. The adventure starts early in the morning as the sun rises. Your guide will direct you from the farms to the dense rain forests, where the giant primates are to be found. Since the guides lead people every day, they often have a good sense of where the gorillas are likely to be every new day. But keep in mind that gorillas are free roaming animals and there is never a guarantee that you will see them on a day. However, it is easier to see them than it is to miss them. You might have to travel anywhere between 45 minutes and 8 hours before you find the gorillas. Once you find them, you can observe them in their natural habitat for a whole hour. You can also take photographs if you wish. If you are lucky, the guide might know about the background of the gorillas you are observing, and this makes for some rather interesting stories. 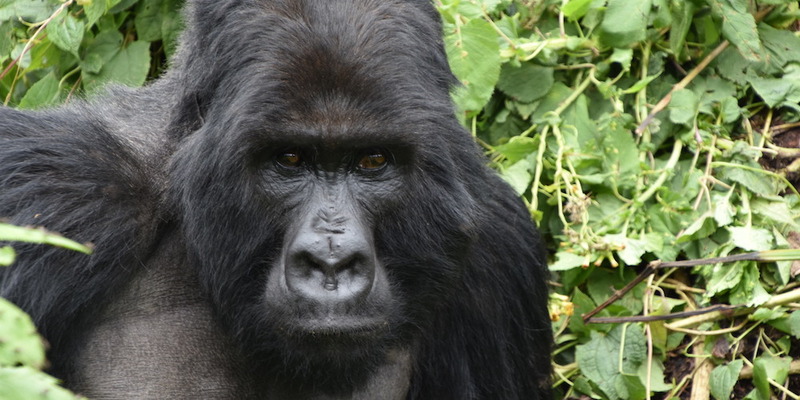 Gorilla trekking permits in Rwanda are generally expensive and can go for as much as $1500. On the upside, gorilla trekking in Rwanda is not strenuous, particularly if you visit during the dry months. Additionally, there are several lodges near Volcanoes National Park where you can stay as you prepare for your trek such as Mountain Gorilla View Lodge. Moreover, Rwanda has a great infrastructure that makes it easy to access the parks where the gorillas are found. Here, you don’t have to put up with hours of rough rides before you can finally get to your destination. Rwanda is also an extremely clean country which is a bonus for any tourist. 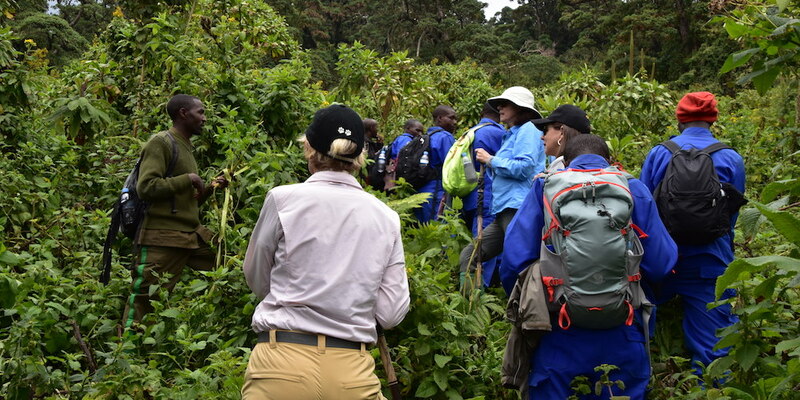 Gorilla trekking is far cheaper in Uganda than it is in Rwanda. Here, a permit goes for $600. You can also find relatively affordable accommodation. Even the luxury resorts are much more affordable here than they are in Rwanda. Additionally, there are also several other tourist attractions near the Bwindi Impenetrable National Park. These include such things as white water rafting, hiking an interacting with the indigenous Batwa people. The scenery is also awe-inspiring. Better yet, most Ugandans speak English, as opposed to Rwandans who are more fluent in French. On the downside, however, accessing the Bwindi Impenetrable National Park is incredibly difficult; it is called impenetrable for a reason! Not only is the vegetation here exceptionally dense, but the terrain is also more strenuous and the ground is also often wet. Additionally, the infrastructure here is wanting, so you might have to endure long, tiring drives before you arrive at your destination. So, between Rwanda and Uganda, which is the better gorilla trekking destination? The answer here depends on what matters the most to you. If you have a budget to stick to, then Uganda is the choice for you. If, on the other hand, you want a trek that isn’t too energy- consuming, then Rwanda is the place for you. Or better still; why not visit both destinations to experience the unique benefits they each offer? You will not regret it. Whether you are ready to book your gorilla trekking adventure or want to learn more about Uganda, Rwanda or gorilla trekking safaris, email us and we will be happy to provide you with more information: info@ntabaafrica.com. Error: Error validating access token: Session has expired on Monday, 28-Jan-19 01:47:45 PST. The current time is Tuesday, 23-Apr-19 22:50:21 PDT.